On 16th and 17th of May, the IDC brought together various stakeholders in Thailand to develop a national strategy for ending child immigration detention, built upon a theory of change. Theory of change is a methodology for planning, participation and evaluation that is used to promote social change. 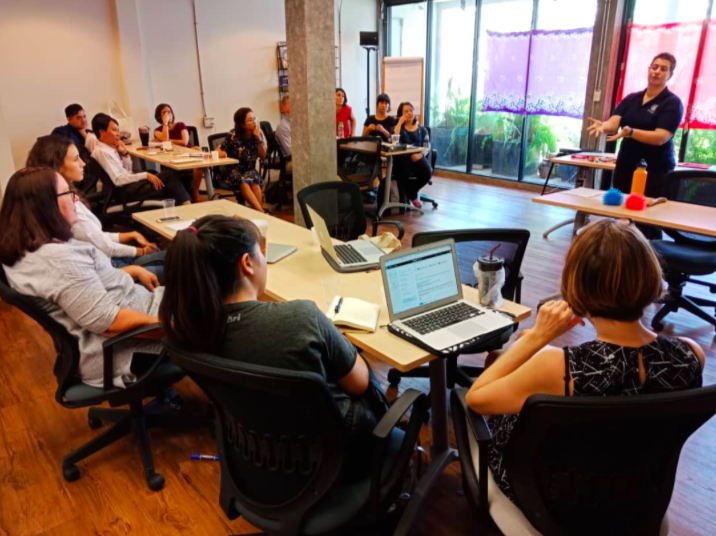 The workshop, led by an experienced theory of change facilitator, was held in Bangkok and was attended by close to 20 participants from civil society and United Nations agencies. Over a period of two days, participants came together to identify a common long-term strategy, as well as specific intermediate outcomes needed to bring an end to immigration detention of children and their families, and to develop effective community-based alternatives. Participants also identified existing opportunities, gaps and challenges in national advocacy, as well as areas for intervention and capacity-building to achieve those aims. In Thailand, groups have been engaged on advocacy and service provision for children impacted by immigration detention for several years now, however this is the first time that a broad range of stakeholders have came together to try to develop a common vision and cohesive long-term strategy to end immigration detention of children. Following this workshop, participants will further refine the theory of change, clarify assumptions, and begin identifying ways to implement and evaluate interventions. IDC organized a similar workshop in Malaysia at the end of February, and will be organizing one in Indonesia in the coming months.